Looking for an activity for your bigger kids? Recently, while the pollen prevented us from being outside a lot, my kids dove into the stash of craft kits I have. 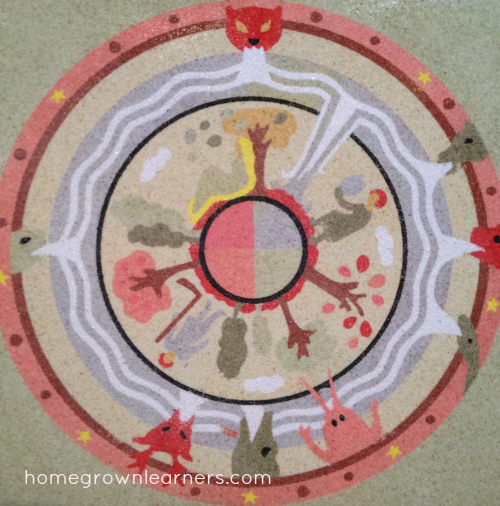 My kids have been interested in Mandalas for quite some time. They like to color them while I'm reading aloud. 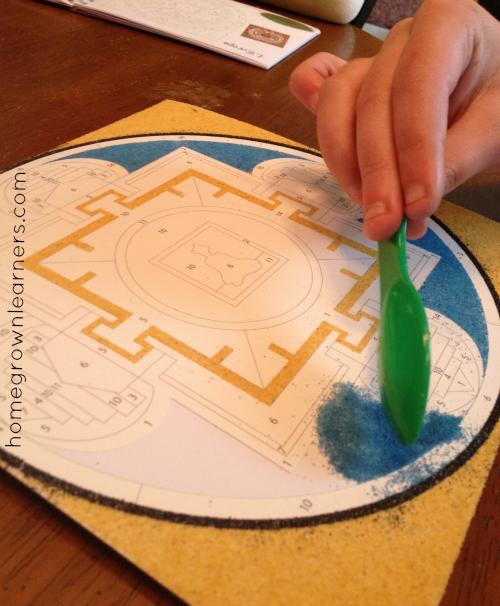 We learned about the history of Mandala, but found the history of sand art Mandala to be even more interesting. 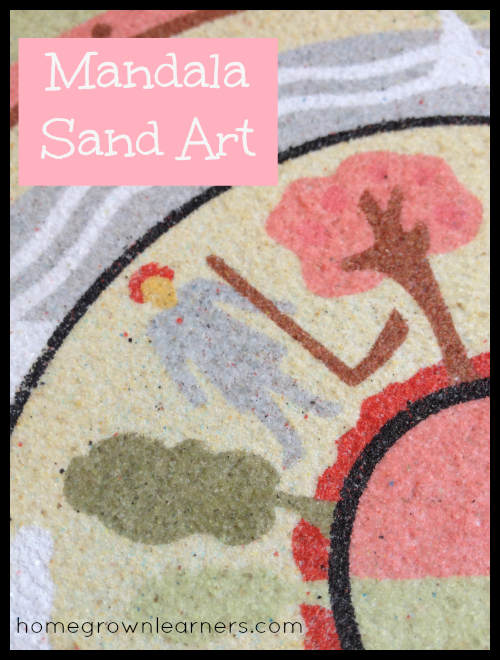 As I was searching for some relaxing art activities, I came across a beautiful Mandala Sand Art kit. Little did I know how marvelously they would turn out, or what a beautiful time we would have with them. A rainy Sunday afternoon was the perfect time to get out the Mandala Sand Art kit. Anna and her sweet friend Paige spent nearly three hours on these projects. They never budged from the kitchen table. The concentration, conversation, and creativity was a precious gift. The kit is recommended for ages 9-15. I would change that from 9-adult. It is designed for older children who have good fine motor skills, concentration, and patience. You can see that these are just like paint by number kits, except using sand. The girls and I remarked what fun it was to see the designs "come to life" as they applied more and more colors of sand. The finished products were beautiful. The girls were so proud of their creations, and they learned a lot, too. 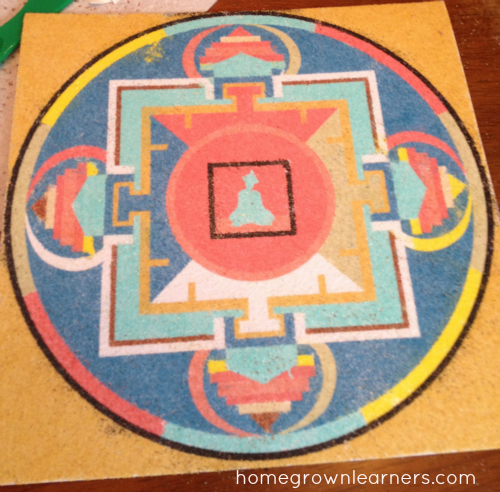 Unknowingly we completed a mini Mandala Sand Art Unit Study! *I received no compensation or product for this post - it's just something we did and LOVED, and I wanted to share it with you!